I’m about 5% away from level 93 now, and still loving Shadowmoon Valley. As a zone it is well put together. The rares spawn often, they drop interesting and sometimes useful things, the monsters are squishy enough (especially if you overgear the zone), and the travel time between hubs and quest locations is enough to get you “into” the zone and exploring without being tedious. There are the odd special things found along the way, like the quest to kill animals for steaks, or the special events for the garrison. It is also a little morbid to look at this zone and think about what we know of the alternative from our character’s own timeline. I can see parallels in the geography and that helps make the story’s impact stronger. I wish I was able to level faster, but not at the cost of missing the experience. Fair to say WoW is aborbing my thoughts and time again, so here are a few things which happened recently. A WoW periodic table of personalities, because re-thinking organisation of these personalities is kind of fun. Good stuff. Subscribers have been gifted 5 days free from Blizzard for the launch issues, which is a nice way of saying thanks and sorry. Good on them. I want to say to that the posts and comments everywhere ranting about how this is “expected” or somehow not enough make me a little ashamed to be the same species as the whiners. Just a little. Garrisons are fun, even for the short period I’ve been in mine, at level 91. What I seeing and what I’m reading are looking good. 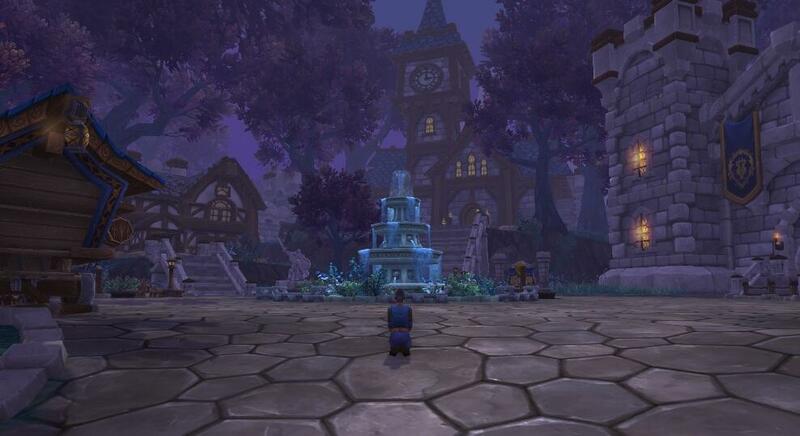 A WoW Paladin guide for preparation for Warlords, how-tos, and such.